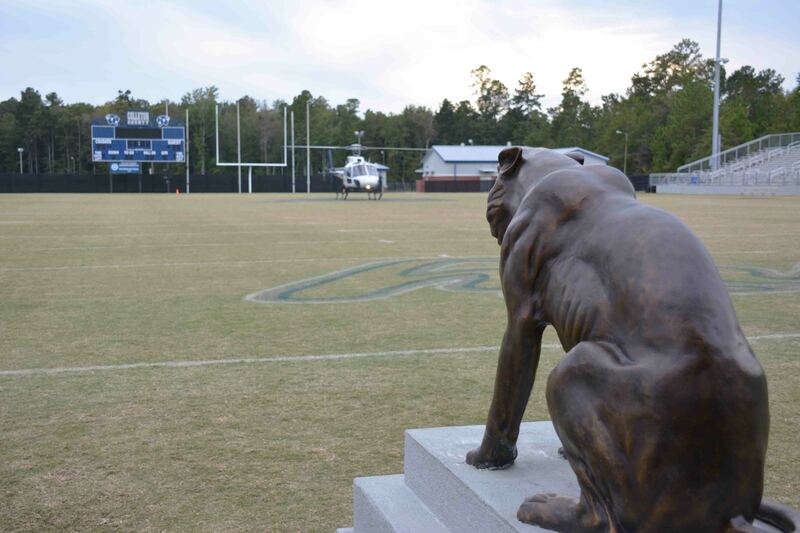 A teenaged football player was flown from the High School Football Field Monday afternoon 30-September at 17:23. The player was injured during football practice. 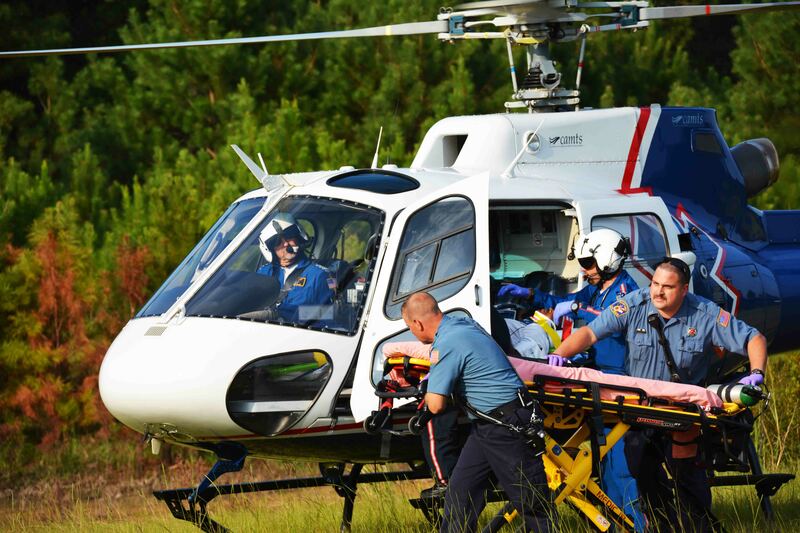 He was treated at the scene by school officials prior to Fire-Rescue responding and was then flown by LifeNet 4 to the Trauma Center at MUSC. He was in stable condition. Click here for more information. The transition to 800 mhz radios is entering its preliminary implementation period. Click here for more information. 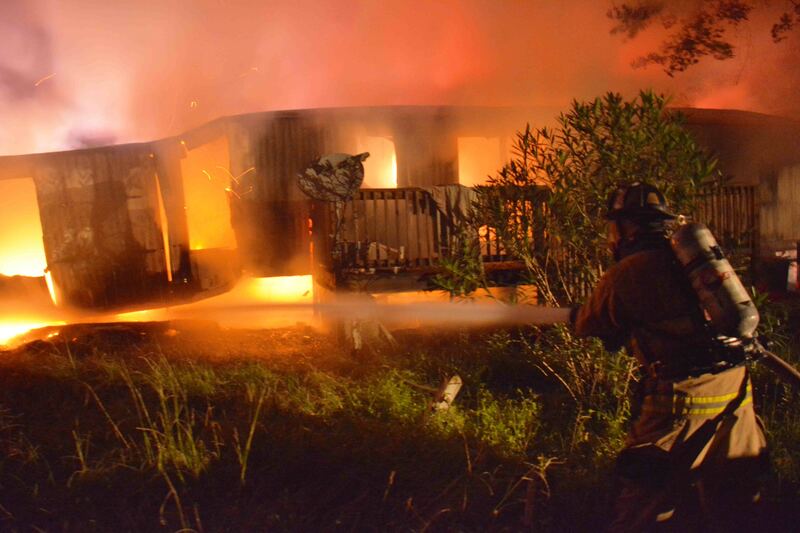 Fire-Rescue was notified of a structure fire at 194 Siegler Drive at 23:00 Sunday evening 29-September. Engine 19 arrived four minutes later to advise the doublewide mobile was fully involved. Firefighters deployed two 1-3/4 handlines to combat the fire. A neighbor reported the fire, which is located on a dead end dirt road. Click here for additional information. 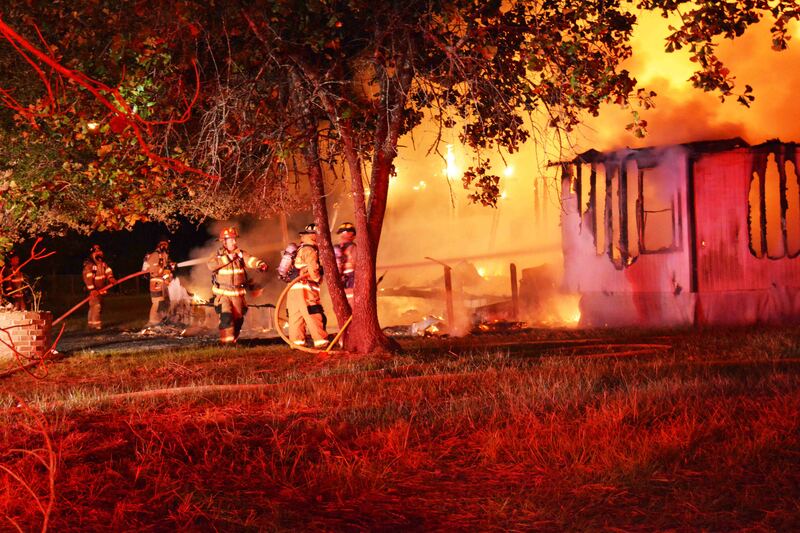 An early morning arson fire destroyed a singlewide mobile home at 104 Cheshire Lane in the Jacksonboro Community Sunday 29-September. 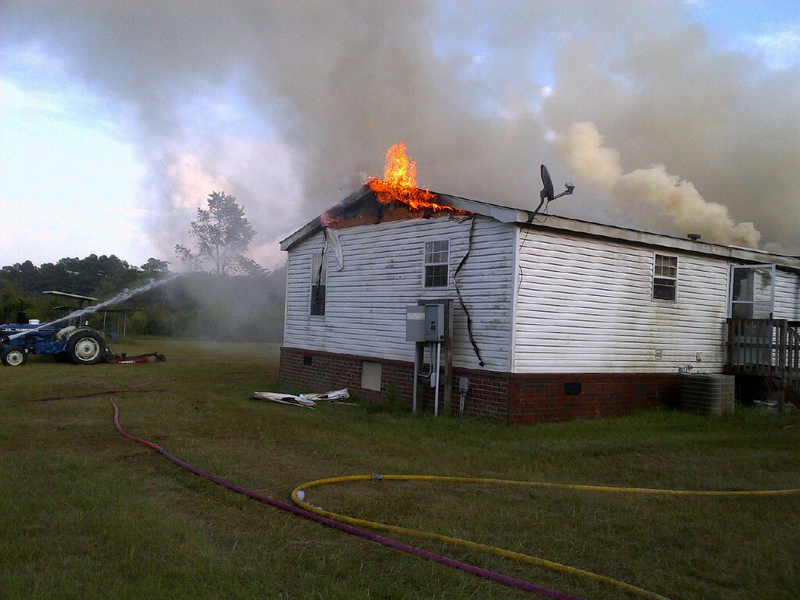 A neighbor reported seeing flames coming from the vacant structure at 01:17. Firefighters saved the home in July, containing what was believed to an electrical fire in a bathroom to one end of the structure. Click here for more information. For the fourth consecutive year, Colleton County Fire-Rescue is honored to be streaming the 2013 National Fallen Firefighters Memorial Services Live from the National Fire Academy in Emmitsburg, MD. The Candlelight Service will be held on Saturday, October 5, 2013 from 18:30 to 20:00 (Eastern). The Memorial Service will be held on Sunday, October 6, 2013 from 09:30 to 12:00 (Eastern). Click here for more information. 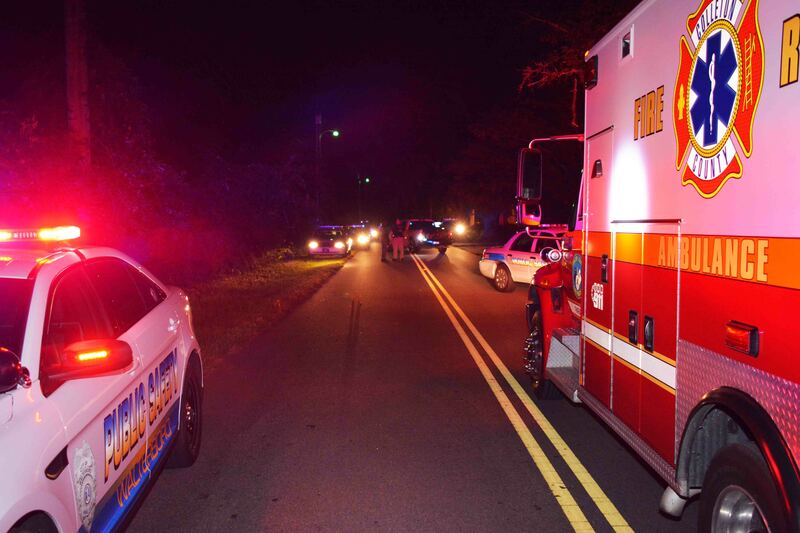 A 22 year old Walterboro man was shot in the upper leg on Windwood Road Sunday evening. The circumstances surrounding the incident are under investigation by the Sheriff’s Office. At 23:31, 9-1-1 Operators received a call from a resident at 212 Cumberland Street advising a man was at her door who had been shot. Click here for more information. A 20 year old man received what appeared to be a small caliber, single bullet wound to the back of the head Tuesday afternoon 17-September. The shooting was reported at Lincoln Apartments located at 404 Witsell Street in Walterboro at 18:59. Click here for additional information. 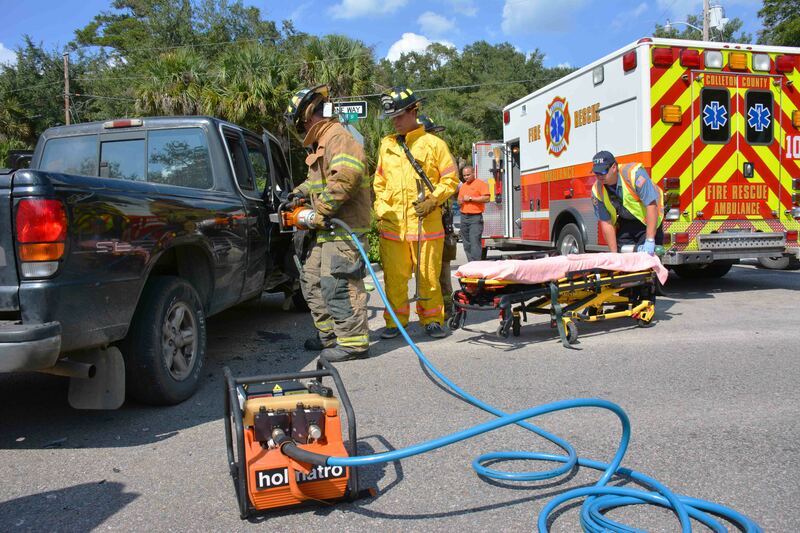 A high speed two vehicle MVC sent three people to the hospital Tuesday afternoon 17-September. 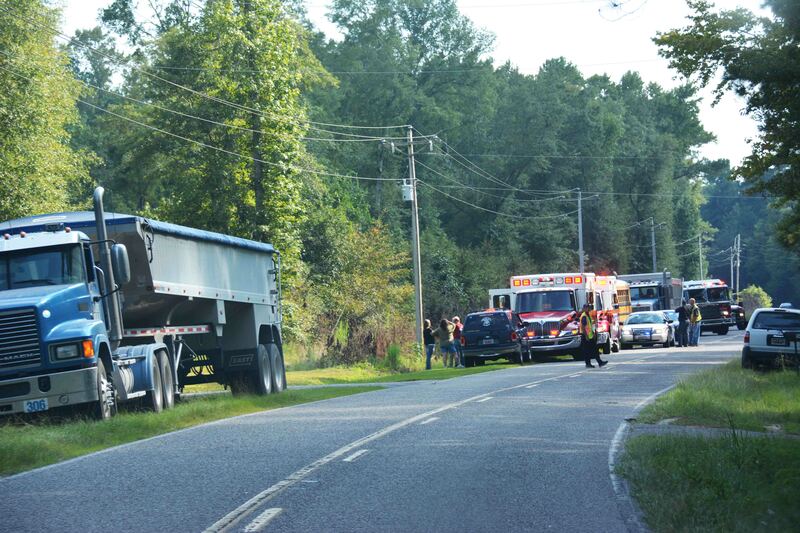 The accident on Johnsville Road just north of Yorkshire Lane was reported at 16:53. Apparently a northbound car traveling at a high rate of speed, crossed the center line after a curve. Click here for additional information. A video of the first PAL800 training session is now available. Click here to view the video. A 16 year old boy received a gunshot wound to the right leg in an incident at 306 Green Pond Highway. It was reported at 13:55, Sunday afternoon 15-September. The circumstances surrounding the incident are under investigation by Walterboro Public Safety Officers. Click here for additional information. 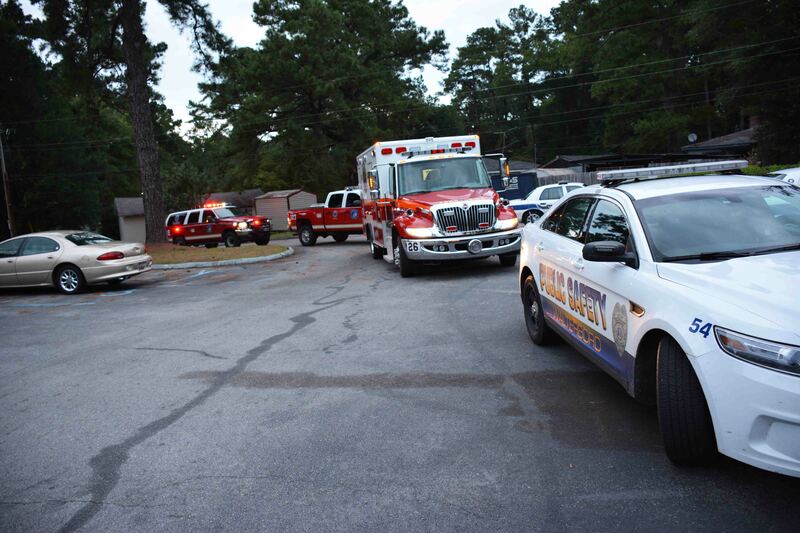 An adult male was transported to the hospital after he was injured extinguishing a fire in his kitchen. The incident occurred at 824 Winter Drive near the town of Cottageville, Sunday morning 15-September at 11:38. 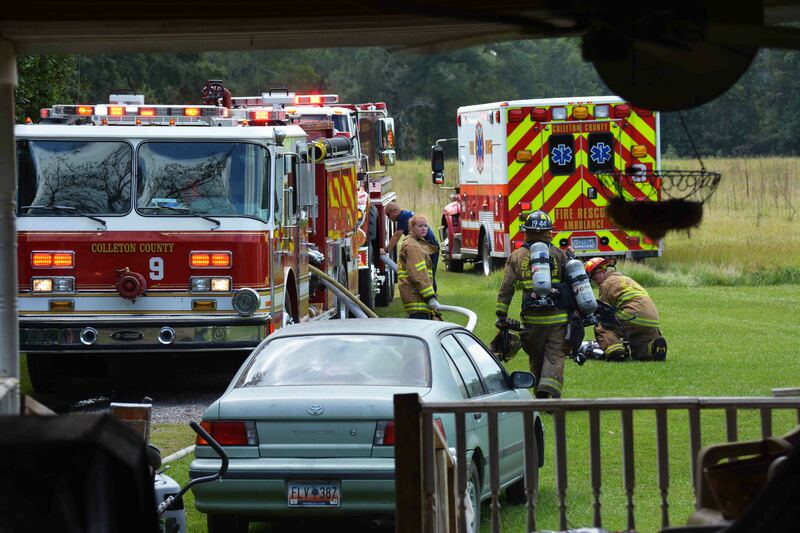 The man was cooking, when a grease fire occurred on his stove. Click here for more information. We wish to congratulate Firefighter II-Paramedic Pat Powell on the birth of his third grandchild. William Thomas Cain was born at 07:08, 14-Sept. He is the first child of Pat’s son Christopher and his wife Brittany. Both the new baby and mom are doing well. A mobile home was heavily damaged in an afternoon fire at 1614 Cherokee Road in a rural area north of the Town of Smoaks. The fire was reported at 16:43, Friday 13-September. First arriving units found the doublewide mobile home with heavy smoke showing and flames visible from the center of the roof. The home was located at the end of a narrow driveway. Click here for additional information. 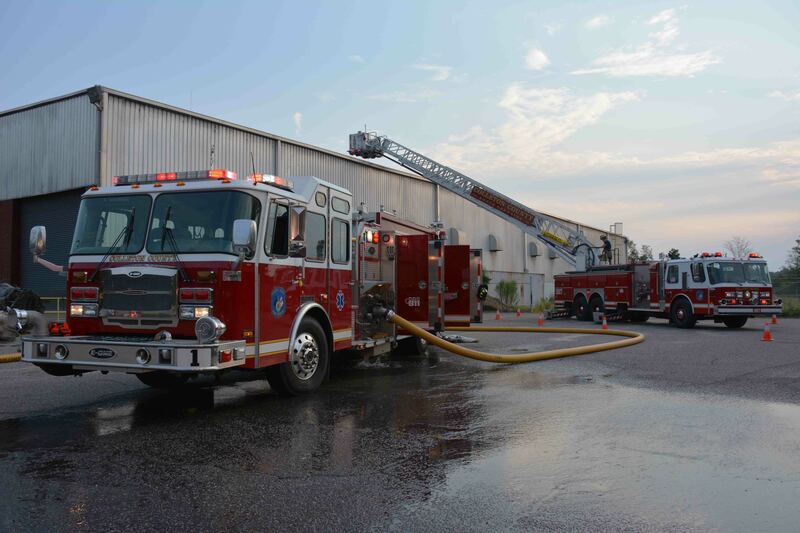 An early morning fire in an industrial building at 304 Thunderbolt Drive, quickly went to three alarms Friday morning 13-September. The 57,600 square foot manufacturing facility was most recently used by a company to produce wood pellets as fuel for European Power Plants. Click here for more information. Four students received minor injuries after a School Bus and Tractor Trailer struck side mirrors in the 5100 block of Mount Carmel Road Thursday afternoon 12-September. The incident was reported at 15:54 after the mirrors on each vehicle collided breaking the two side mirrors on the school bus. Click here for more information. Fire-Rescue was sent to 111 Eddie Chasteen Drive, the NAPA Auto Parts Store, for a 57 year old man who was stabbed on nearby Hiers Corner Road. The incident was reported at 16:47, Wednesday afternoon 11-September. Firefighter-Paramedics found the man seated on the ground next to the building. Click here for more information. 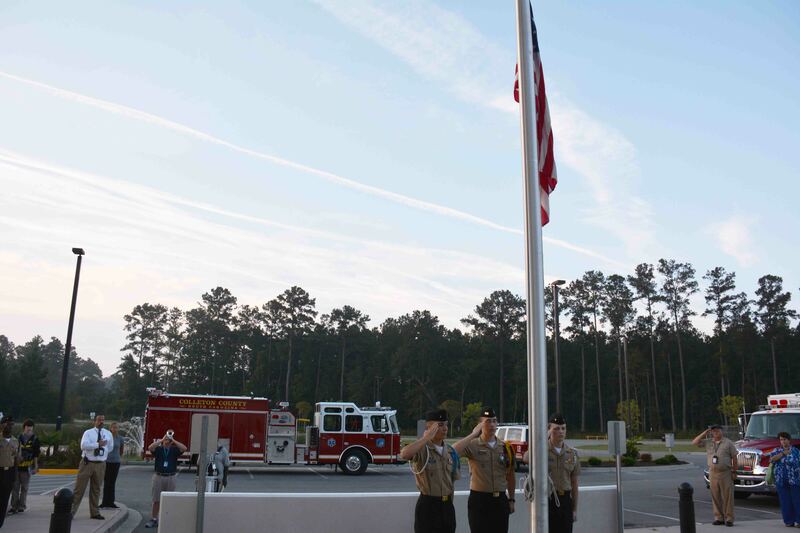 Members of the School District, Student Body of the High School, Fire-Rescue and the Sheriff’s Office attended a 9-11 memorial ceremony held in front of the High School on Cougar Nation Drive, Wednesday morning 11-September at 07:30. Principal Cliff Warren and his staff conducted the ceremony, with Rev. Ken McCaskil offering a prayer. Click here for more information. An 18 year old female suffered a gunshot wound to the leg in a driveby shooting in the 400 block of Savage Street Tuesday evening 10-September. The incident was reported at 20:14. Witnesses advised a vehicle drove by the home located in a residential area firing multiple rounds which the struck the house several times. Click here for more information. 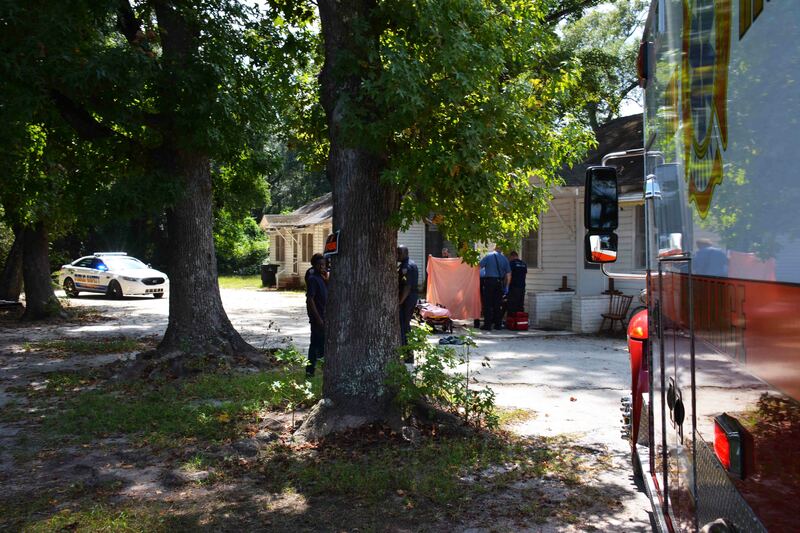 A Florida man lost his life following a motor home accident Tuesday afternoon 10-September at 12:10. 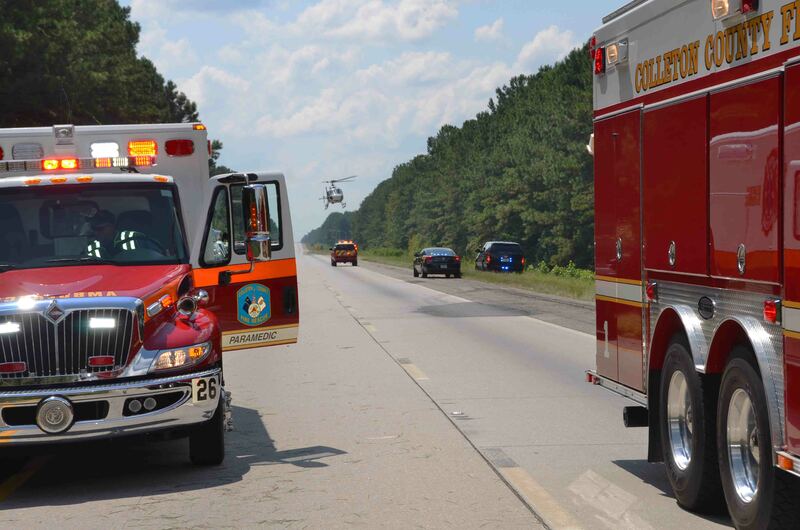 Initial callers reported the accident in a twenty mile area from the 42 mile marker to the 62 mile marker, which delayed units locating the actual site of the collision. Click here for additional information. A 32 year old Walterboro man received a life threatening stab wound to the back at a Trevor Drive residence Sunday morning 08-September. 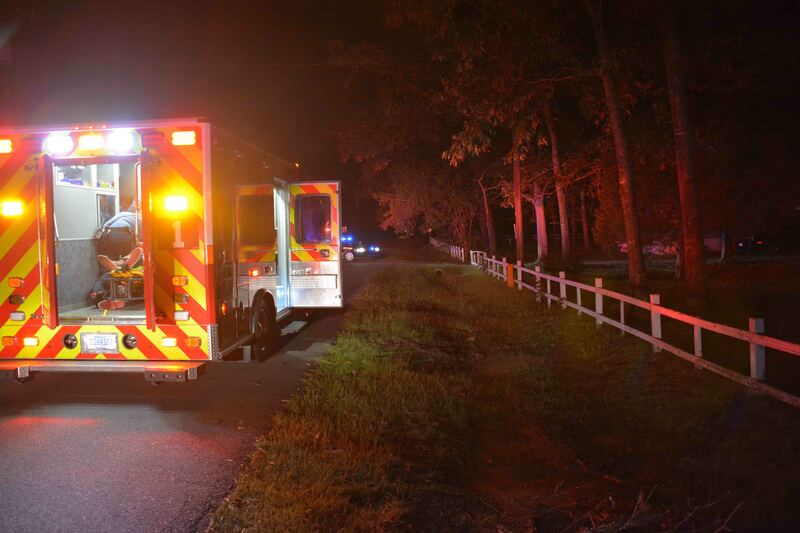 Sheriff’s Deputies responded to the location for an unrelated incident and found the injured man when they arrived. Fire-Rescue was notified at 02:48. Click here for additional information. 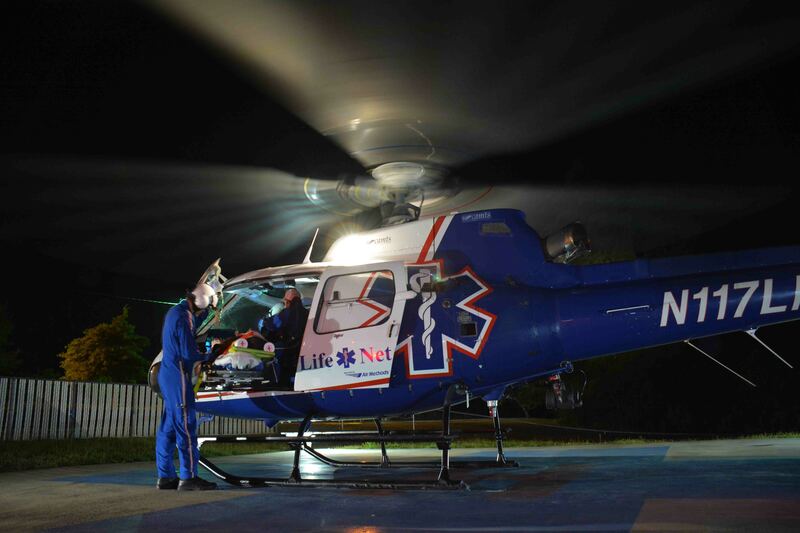 A two car MVC sent two people to the hospital Saturday afternoon 07-Septmeber at 15:15. Apparently a small Mazda pickup truck turned into the path of a fully restored vintage Chevrolet El Camino at the intersection of Hampton Street and Francis Street. The El Camino was returning from a car show. Click here for more information. A Massachusetts woman suffered life threating injuries in a single vehicle MVC Thursday afternoon 05-September. 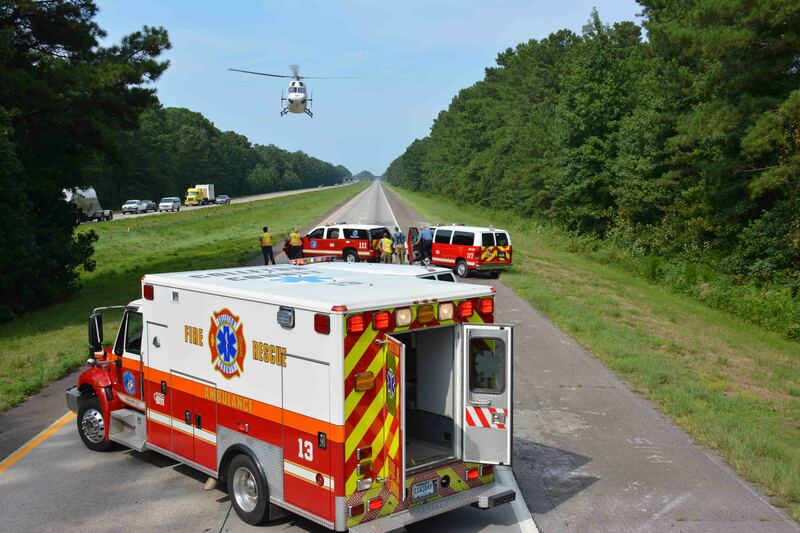 The accident which occurred on I-95 near the 49 mile marker northbound, was reported at 15:05. Witness stated the van suffered a tire blowout, then lost control. Click here for more information. 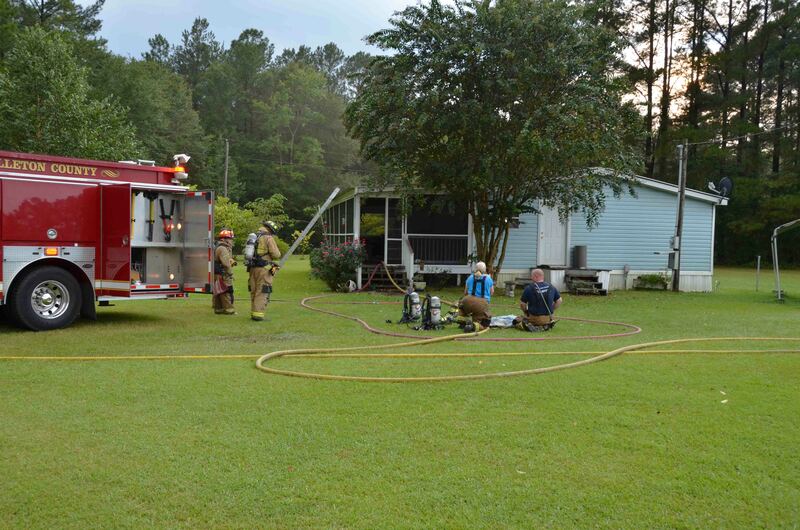 Firefighters saved a mobile home Tuesday afternoon at a residence located at 13 Shallowford Road. The fire was reported at 18:04 during a severe thunderstorm. Responding units had a slight delay due to high winds and heavy rain. Battalion 1 arrived to find light smoke coming from the doublewide mobile home with flames visible through a side window. Click here for more information. 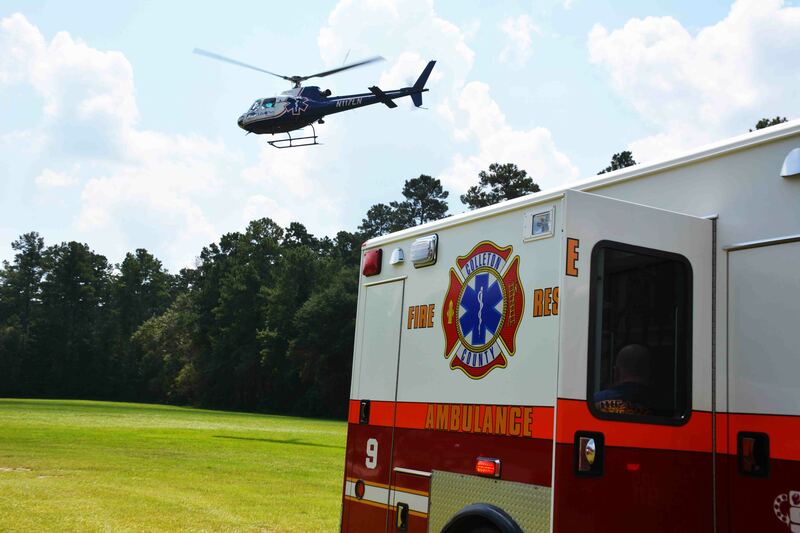 An adult female suffered a life threating medical emergency at a residence on Turner Lane south of Cottageville Sunday afternoon 01-September at 12:26. 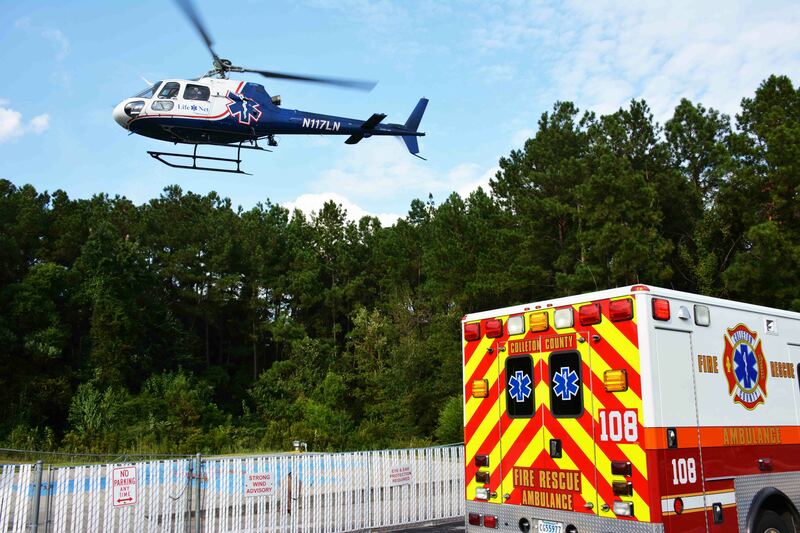 Medic 9 requested an additional Medic Unit to assist them on the scene and a Medical Helicopter to fly the patient to the Medical University in Charleston. Click here for more information.